Athlete Lavern Allick, left, and host Terrence Davis. 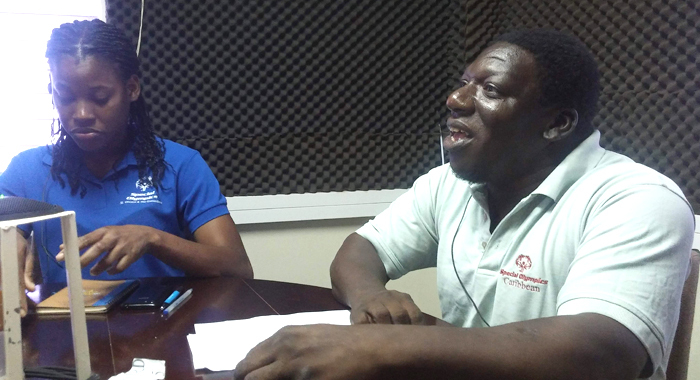 Special Olympics SVG has taken to the airwaves to inform the public about the organisation, its athletes and their next big event: World Games 2019. The games are scheduled to take place in Abu Dhabi, United Arab Emirates from March 14 – 21 in the. This is the first time that the Special Olympics Games will be held in the Middle East, North Africa Region. The programme’s host is Terrence Davis, a past student of the School for Children with Special Needs, a Special Olympics athlete, coach and training director. The programme started on Jan. 20 on Magic Radio with an address from chairman of the Board of Directors, Sir Errol Allen, athlete Lavern Allick, football coach, Roger Gurley and National Director, Sezevra joseph. Davis said he will encourage persons to listen to the programme to get a better understanding of what the organisation means to the athletes, coaches, volunteers, parents and how it contributes to the development of St. Vincent and the Grenadines. The programme airs every Sunday on Magic Radio 103.7 at 11 a.m. It is sponsored by Laynes and is being produced by Accolade, with Bernard Joseph as the executive producer. Accolade is a Vincentian-based venture. Its flagship is an annual event that recognises outstanding Caribbean music personalities and artistes. So far Accolade has recognised Judy Boucher (2017) and Frankie Mc Intosh (2018). Davis says that the organisation thankful to these businesses for getting involved and giving SOSVG the opportunity to get its information out to the public and to those who have already given to this activity. 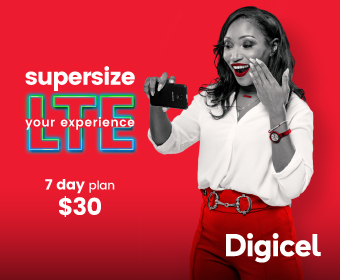 He is also encouraging other individuals and businesses to make donations to the organisation by calling 784-458-4626 to pledge or make deposits to their account #137413 at Bank of SVG. Each donation will bring them that much closer to their balance of $175,000.